George and Ruth Mihaly gave up their careers in medicine and gastronomy, to start their own vineyard. Their estate is a bit over 10 hectares on a north facing slope. They exclusively use grapes from this vineyard, which of course gives lower yield but maintains their high quality. This together with incredible sustainability is their expertise. With 132 solar panels, they feed power back into the grid when they do not need it themselves and to maintain a zero-carbon footprint. 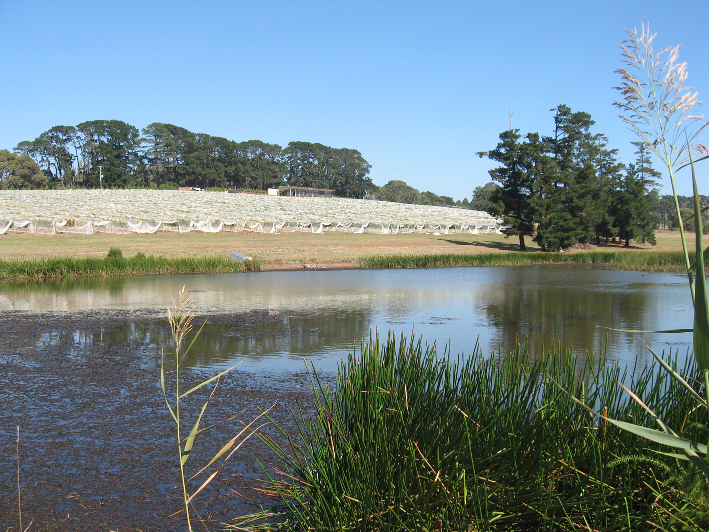 They produce Riesling, Pinot Gris, Shiraz and two Pinot Noir. Even Keel has a range of vineyards spread across Victoria. Their premium label is Polperro which only produces wine from vineyards on Mornington Peninsula. Sam Coverdale started Even Keel in 2006, after having travelled and tasted wine in Spain, Italy and France. In 2009 he launched the more premium label, Polperro, and chose to aim his focus on this label. At Polperro they use a mix of organic and biodynamic principles to create the best and most sustainable wine possible. Together with their restaurant Polperro Bistro and their garden, they create an amazing synergy between food and wine. Their first vintage of 2000 immediately came with a review from respected wine reviewer James Halliday, congratulating them on the wine and their business plan. Richard McIntyre started the vineyard and a few years later, Martin Spedding took over the name and wine. Today Ten Minutes by Tractor has 34 hectares growing Pinot Noir, Chardonnay, Sauvignon Blanc, Pinot Gros and Tempranillo. 95% of all work is done by hand to ensure the highest quality through every process. Their 10X range is from different vineyards on Mornington Peninsula, the Estate range is exclusively from Main Ridge while these vineyards each have a single vineyard wine connected to them. Connected to the estate, they have a premium restaurant “Petit Tractour”.